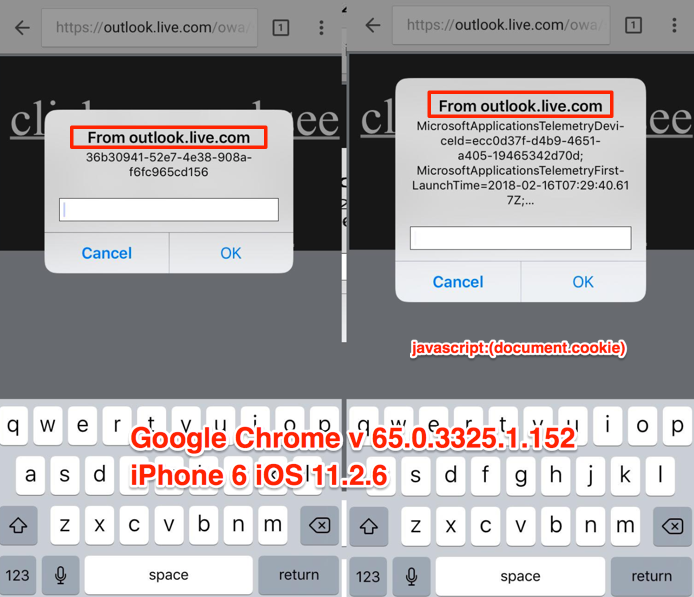 Title: XSS Stored on outlook.com (iOS) via doc file. I’ve found a XSS ​stored ​ in​ ​outlook.live.com ​in iOS ​ browsers via msoffice (ppt) file. 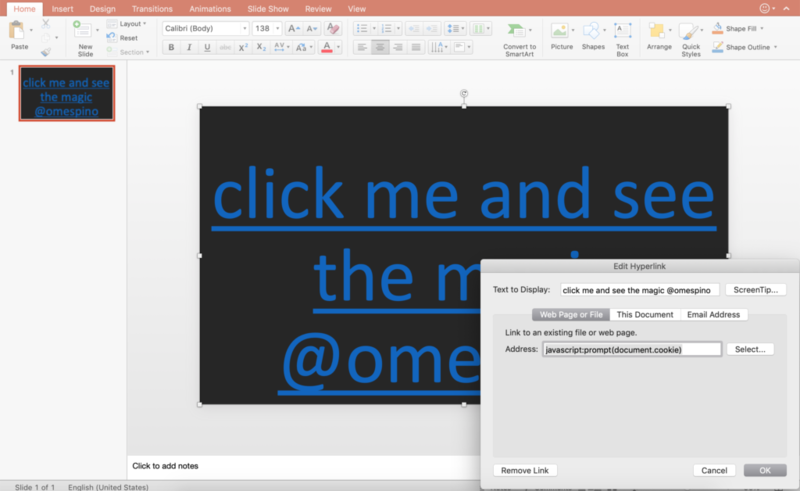 2.- Login ​in​ to ​outlook.live.com ​(outlook email)​, upload to msoffice ppt file ​and send the file via email. 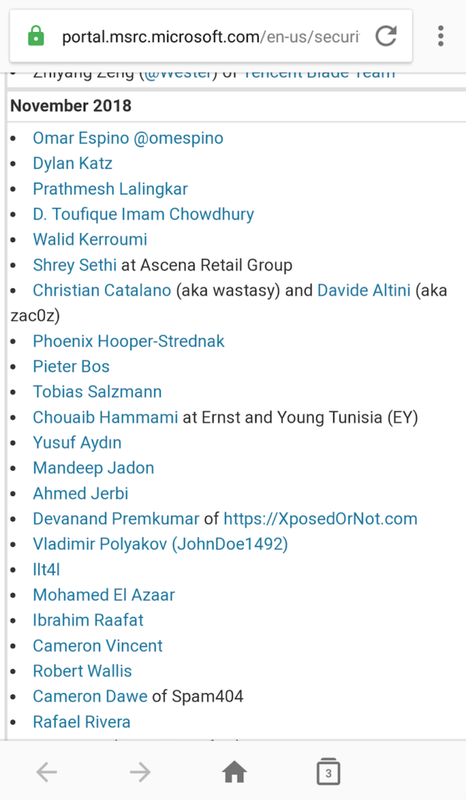 ​4​ .- Open the link directly ​in Chrome iOS browser , click the hyperlink and ​ see​ the XSS(shows up ​again ​ the document.cookie) ​, ​ if you open the link in any iOS browser like Safari, Firefox, Chrome, Opera the XSS works, you just need to be logged in your ​outllook account, only works in iOS). Stored XSS allows an attacker to embed a malicious and arbitraries scripts into a vulnerable page, which is then executed when a victim views the page. iPhone 6 – iOS v11.2.5. ​My personal email account and all testing was seding emails to myself. well that’s it, share your thoughts, what do you think about how they handle that security issue? if you have any doubt, comment or sugestion just drop me a line here or in twitter @omespino, read you later. Great work buddy as always. Thanks for sharing. Thanks for your thoughts and thanks for reading mate.